The British Broadcasting Corporation (BBC) is one of the worlds most iconic organisations. 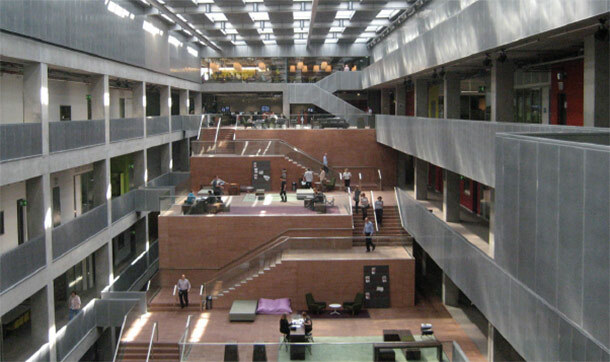 Their Scotland headquarters is located at Pacific Quay in Glasgow. The building was designed with a sheer glass façade enveloping TV and Radio studios together with all supporting edit suites and office accommodation. As part of a team, Dovebrace Ltd were awarded the Contract to design and install a cooling facility for a new IT storage library. The room would be located in the heart of the building and provide N+1cooling to the new tape library systems. The aim of the project was to install close control full function downflow air conditioning units fed from the existing chilled water systems already serving the building. The added challenge to this project was not only the installation within a 24/7 working studio environment, as the whole building is utilised for filming as some time. But, the chilled water systems utilised must have resilience and that the existing systems could not be taken out of service. The existing systems cannot be interrupted as this may affect the buildings operation. Our solution was to install the equipment and pipework infrastructure as a first fix and carry out the connections into the existing chilled water circuits using a live connection method. The building and its services operate 24/7 with full N+N resilience. We employed an ‘under pressure drilling’ technique to branch into the existing chilled water pipework systems in two separate areas. This process can be completed without leakage or loss of flow. The success of this technique ensured that the project was delivered to the Client within the narrow timeframe without affecting the Clients business.